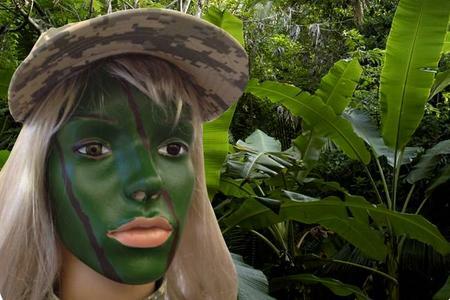 Starting from a single need for a facepaint to protect a soldier from blast, SciGenesis has expanded its products based on the core technology developed for our facepaint technology: thermal protection and insect repellancy. In a blast or flash-fire scenario, the exposed skin of the respondent is traumatized by the onslaught of irradiative heat. SciGenesis prototype product provides thermal barrier protection for the first responder in the form a cosmetic. This comfortable protective layer has been proven to resist sweat and material transfer. Wearers of this prototype facepaint gain valuable time to avoid skin trauma. Flame retardant textiles are typically too expensive for the average consumer primarily because the FR characteristics are generated during fiber production. The ability to impart FR qualities to pre-assembled textiles would be greatly beneficial. SciGenesis prototype print paste imparts a flame retardancy and thermal barrier that can be applied to a variety of textiles, ensuring protection for the wearer. Insect repellant textiles and surface treatments can provide a much needed armament from certain types of vector-borne diseases. SciGenesis is working to overcome limitations of current commercial products which lose their efficacy with time and laundering. 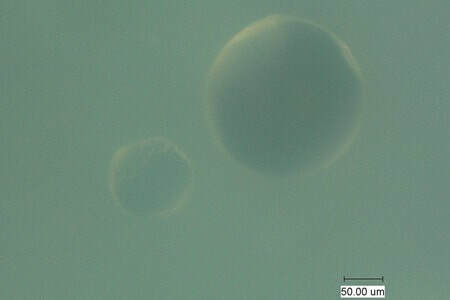 SciGenesis prototype encapsulated bug repellents offer increased cycle-life of treated surfaces.